See better and see longer with Magni- clips. Simply clip them on eyeglasses or sun-glasses and you're ready to go. Each pair is lightweight and features rubberized feet so it won't scratch glasses. This package contains one pair of Magni-Clips and one soft-sided carry case. Each pair measures approximately 2-1/2 by 3-3/4 by 1/2-inch. Available in a number of magnifications: each sold separately. Imported. If you have any questions about this product by K1C2, contact us by completing and submitting the form below. If you are looking for a specif part number, please include it with your message. 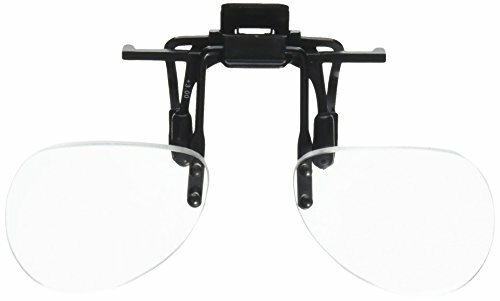 BXT BigEye 10X Magnifier Magnifying Glass Diameter 90mm/ 3.5"